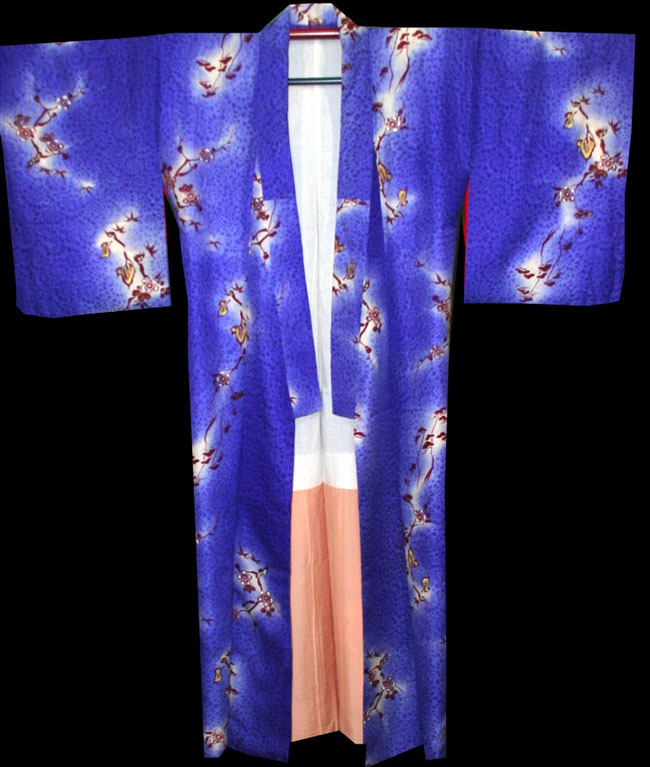 Kimoyes item: 22743 - Stunning purple silk vintage kimono with an all over dyed design. 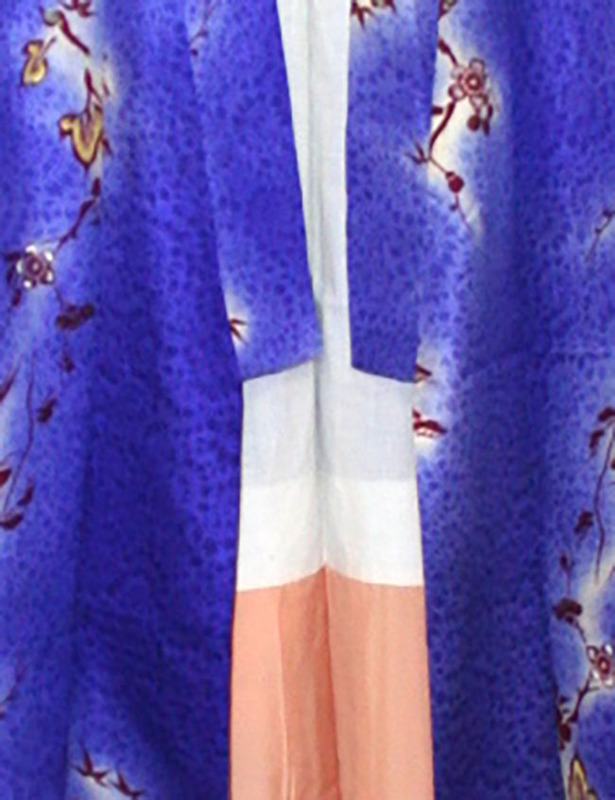 Stunning purple silk vintage kimono with an all over dyed design.The cherry blossom designs are dyed in rich colours. The inside upper lining is a cream cotton, the inside lower is a pale apricot silk and the sleeve lining is red. 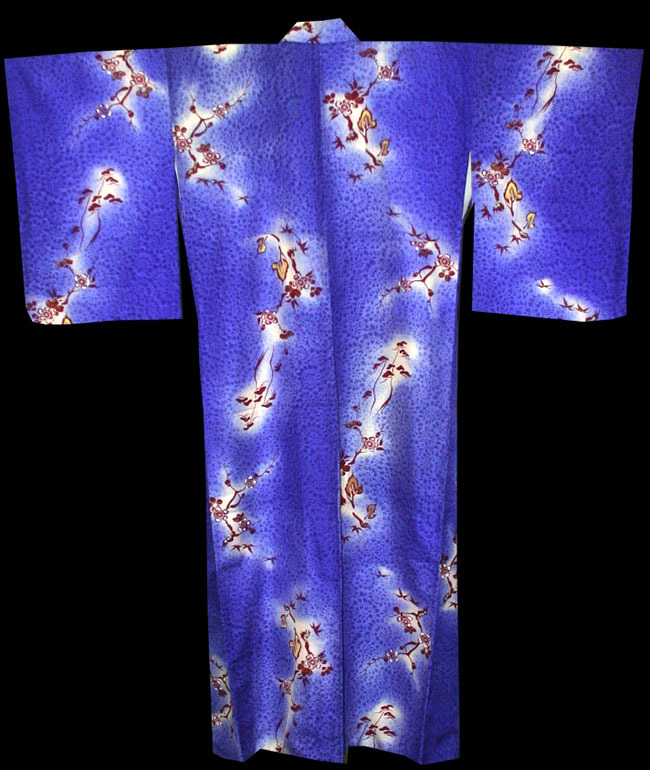 It is 57 inches long and it measures 50 inches from sleeve cuff to sleeve cuff. It would be luxurious to wear or stunning to display.